Nottingham Forest are in talks with former Rangers and Brentford boss Mark Warburton over their managerial vacancy. His appointment as manager could even be finalised in the next 48 hours, with Reds owner and chairman Fawaz Al Hasawi thought to be keen to have Warburton in charge for Saturday’s home clash against east midlands rivals Derby.With academy boss Gary Brazil initially expected to remain in interim charge until the end of the season, Warburton had been earmarked as a summer target following the appointment of Frank McParland as director of football but those plans have been rushed forward after Saturday’s 1-0 defeat at Burton left Forest just two points above the Championship relegation zone.McParland and Warburton worked together at Rangers before their departure from Ibrox last month, with the Glasgow club claiming the pair resigned – allegations which were denied by McParland and Warburton. Brazil was placed in charge until the end of the season after Philippe Montanier’s sacking in January but Forest have lost five of the last seven games, leaving relegation as an alarming possibility. Warburton has experience of the Championship from his time at Brentford, where he also worked with McParland. The 54-year-old guided the Bees to promotion from League One and mounted a promotion push the following season. 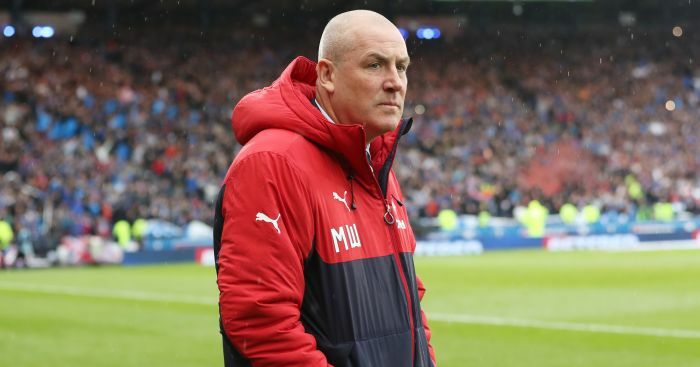 The club announced in February 2015 that they would be replacing Warburton as manager at the end of the campaign, which ended with a 5-1 aggregate loss to Middlesbrough in the play-off semi-finals. Warburton linked up with Rangers that summer and got the club promoted back into the Scottish Premiership as Championship title winners. He also won the Scottish Challenge Cup during his spell at Ibrox.